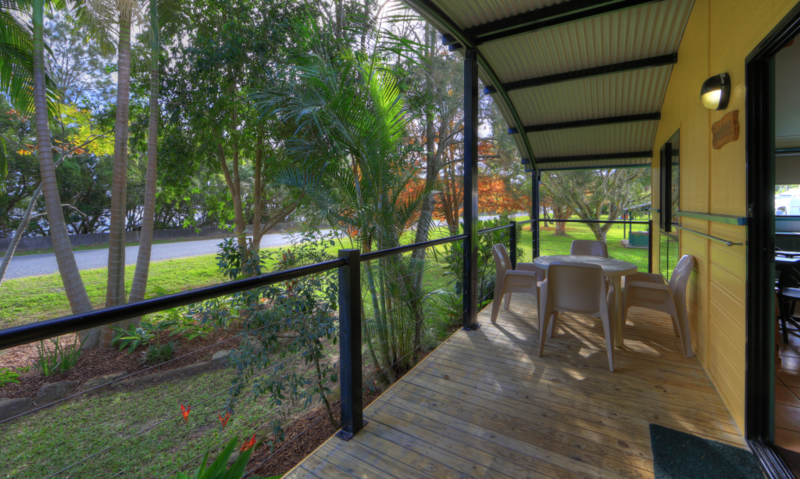 Our luxury Cabins feature either a Country Cottage or Mediterranean décor, the latter with a view to the beautiful Clarence River. Spa cabins accommodate up to 5 people with a maximum of 4 adults. 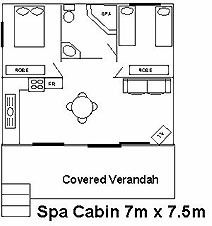 The master bedroom in the Spa Cabins contains a queen size bed, bedside tables, dressing table, wardrobe and television. 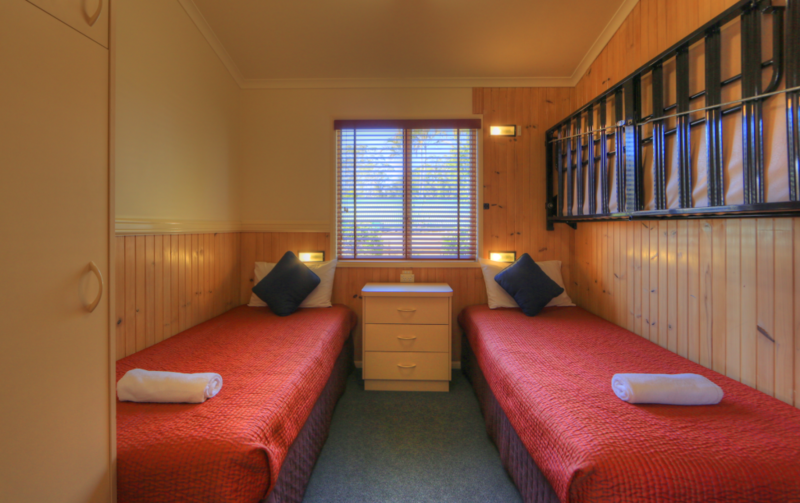 Second bedrooms have two single beds and a hinged bunk, bedside table and wardrobe. Sheets, pillows and cases, blankets and bath towels are supplied for all beds. 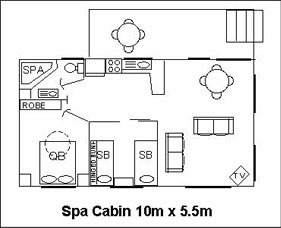 Spa Cabins have a large open-plan lounge/kitchen/dining area. 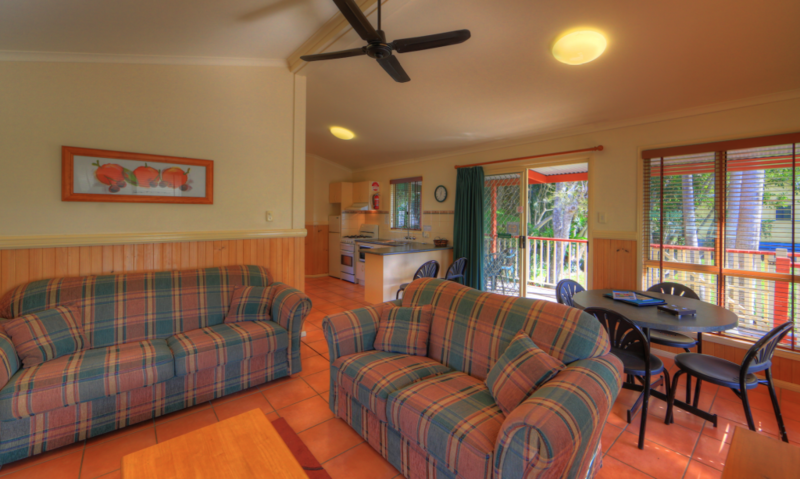 Fully equipped kitchen includes full-sized gas stove, microwave, fridge/freezer, cookware, cutlery and crockery. 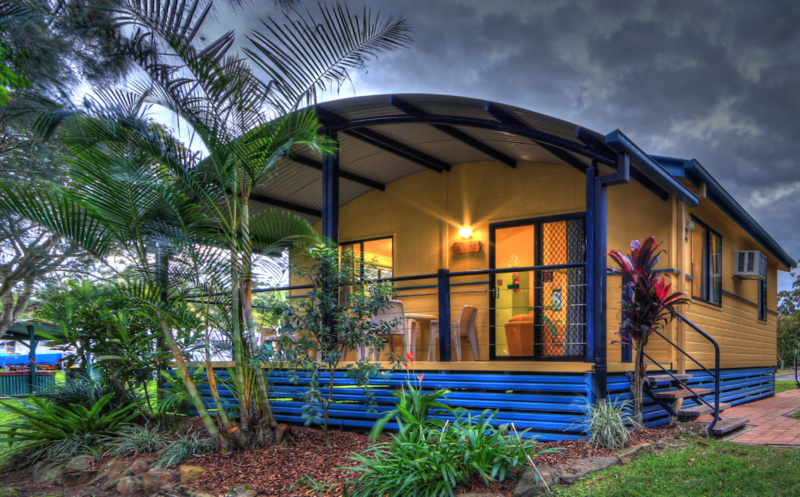 The living area includes TV, Foxtel, DVD player, CD player and a ipod docking station. There is an iron/board in each cabin for your convenience. 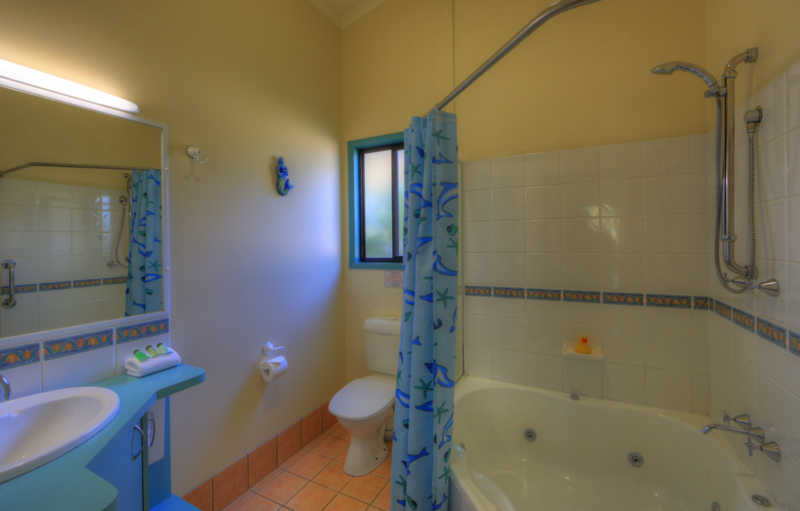 The bathroom has a corner spa bath, shower, toilet, vanity, complimentary toiletries and hairdryer. 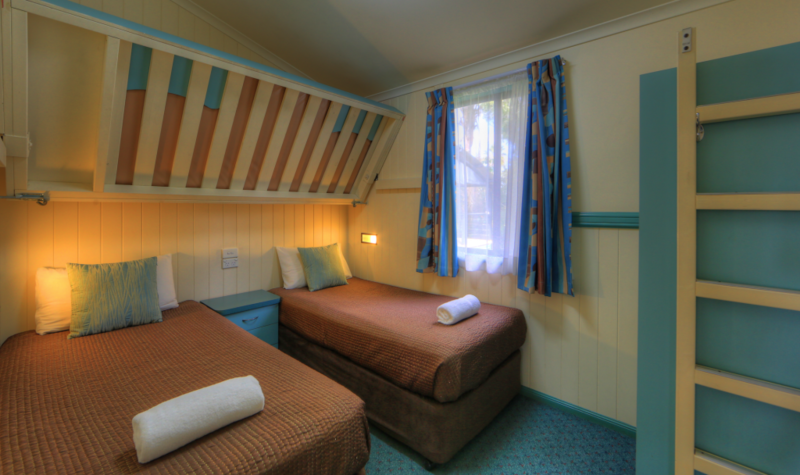 All cabins are non-smoking with reverse-cycle air-conditioning and ceiling fans. 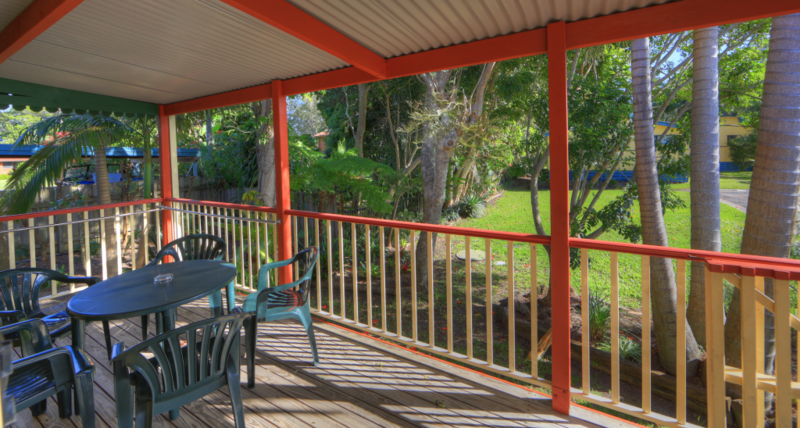 A covered deck with outdoor furniture and private garden at each cabin ensures a pleasant outlook.